Bottom with 3/8″ screw hole to mount on almost all types of tripod. 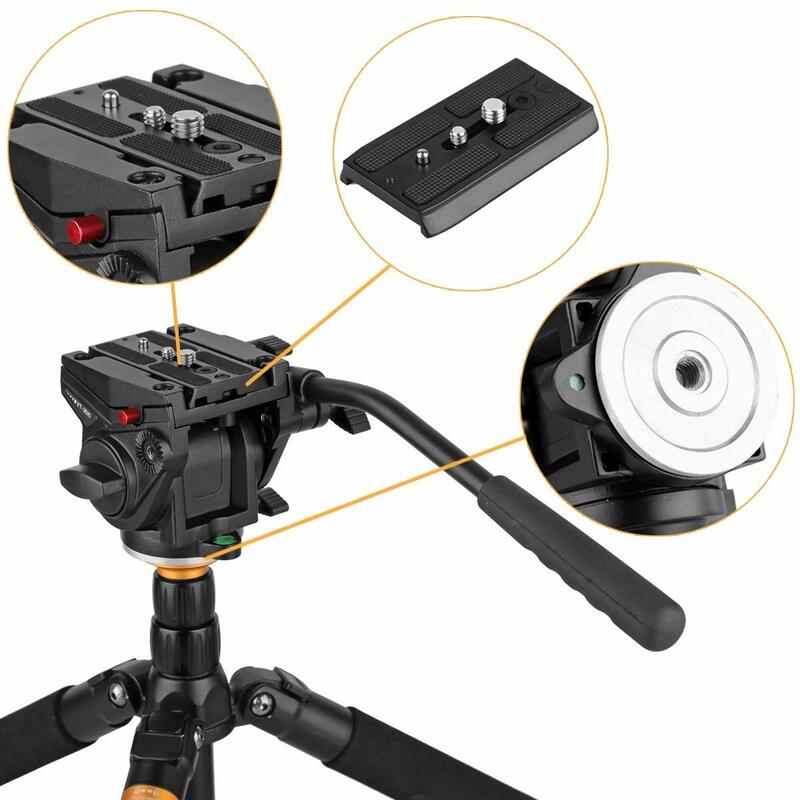 The quick release plate comes with dual security locking system to protect your camera from accident. 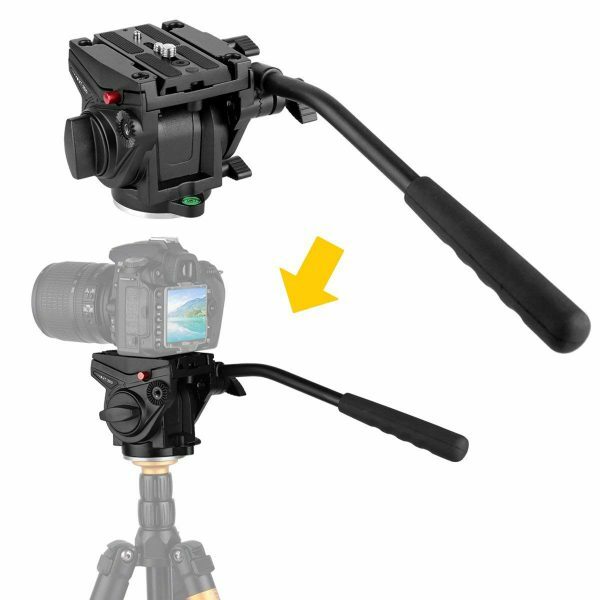 0-180 hydraulic damping system to avoid your camera shaking, provides perfect images and videos for you. 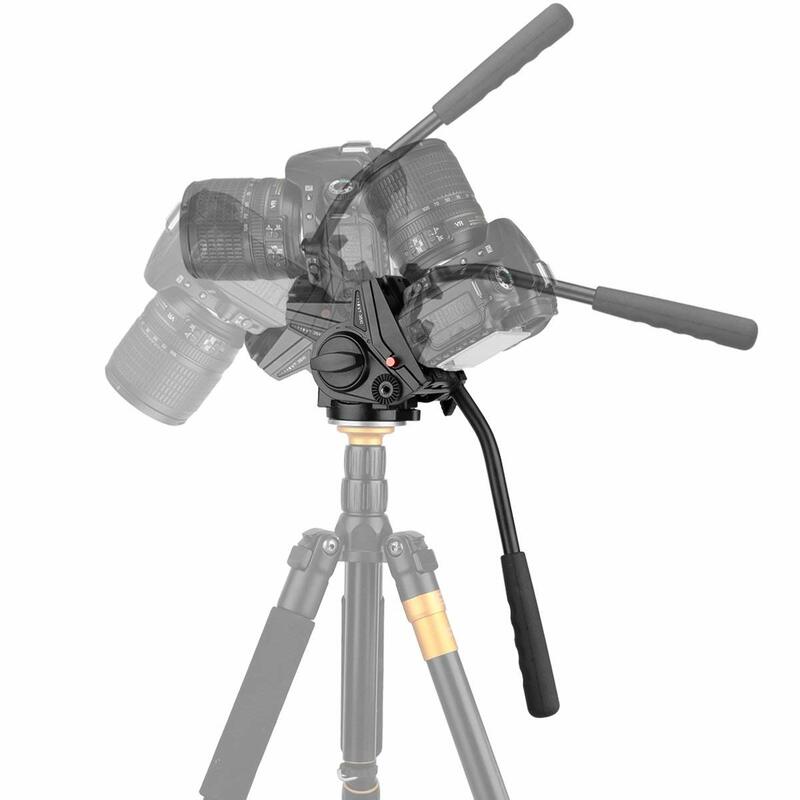 360 rotatable head to suit your needs with different angle. 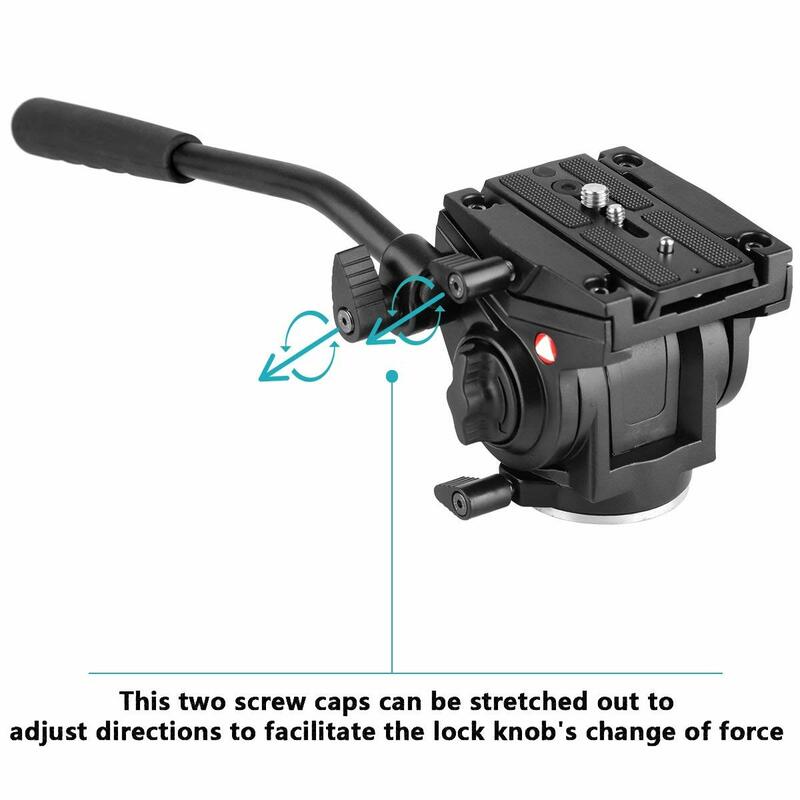 Fine tuning knob of hydraulic damping system makes it possible for you to adjust it accurately. Detachable handle with 360 rotatable design, you can change the direction and angle of the handle as you need. 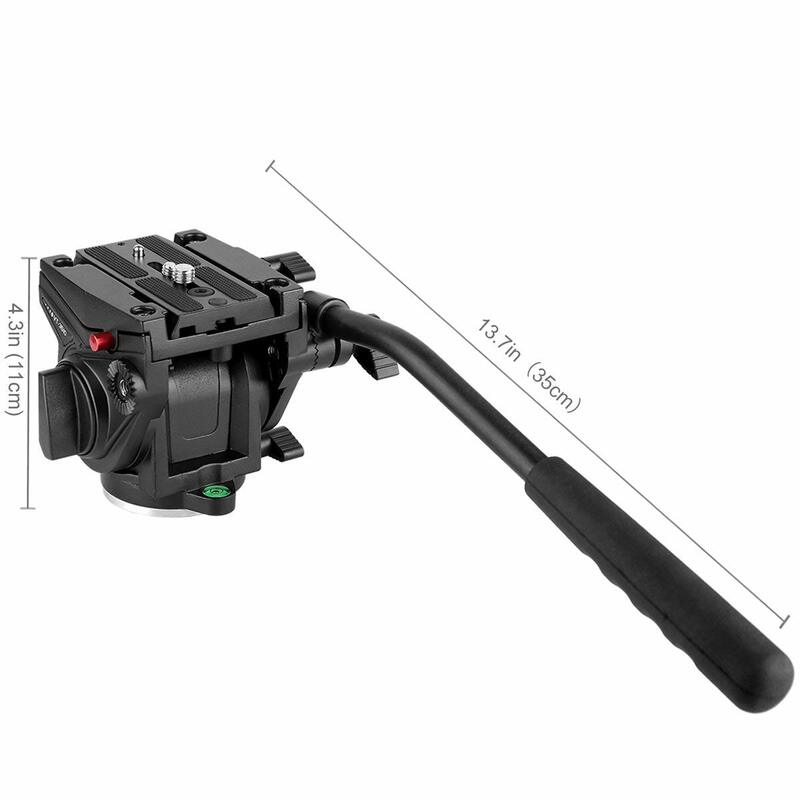 The Kingjoy VT3510 is an innovative and professional video head, which is developed to simply the best and most ideal solution for the HD DSLRs. And It has a sliding plate which travels to balance the latest interchangeable lens cameras. It smoothly pans 360-degree and tilts 180-degree and comes with a removable, right-sided pan arm and 3/8″ & 1/4″ quick release plate. The tripod mount thread on the bottom is 3/8″ can be converted to 1/4″ with an included reducing bushing for compatibility with all tripods. 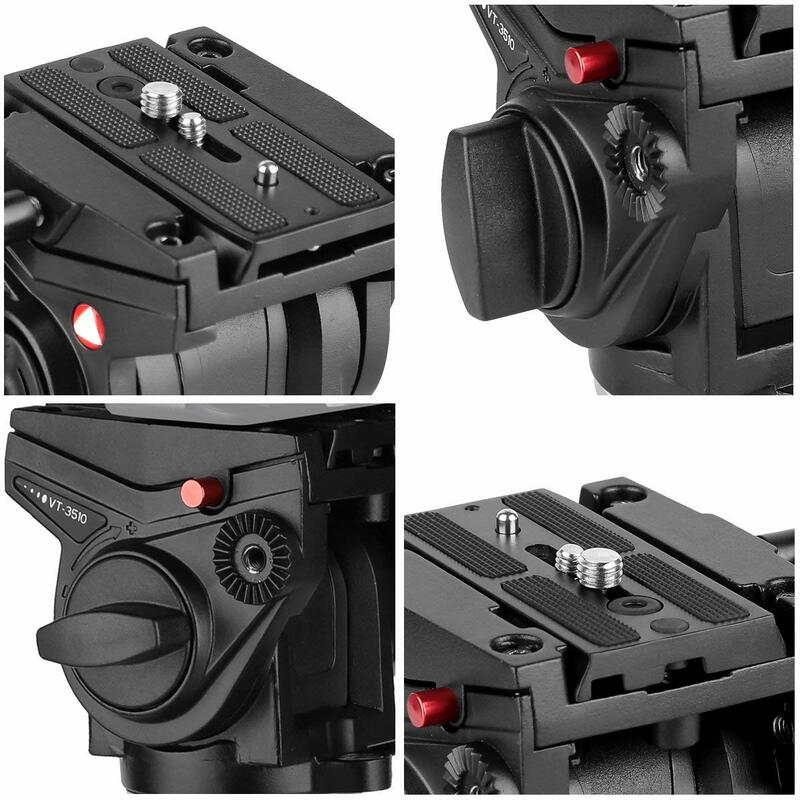 The upgraded quick release plate comes with a dual convertible 1/4″ and 3/8″ mounting screw to be fit for video shooting. 1/4″ and 3/8″ screws are freely switched, easy and quick installation for dslr cameras, also suitable for both photography and videography. Twist the security locking knob and take out the quick release plate. The standard dovetail groove locking design allows quick installation and prevents slipping. To facilitate shooting framing by adjusting the bar with hand lock. 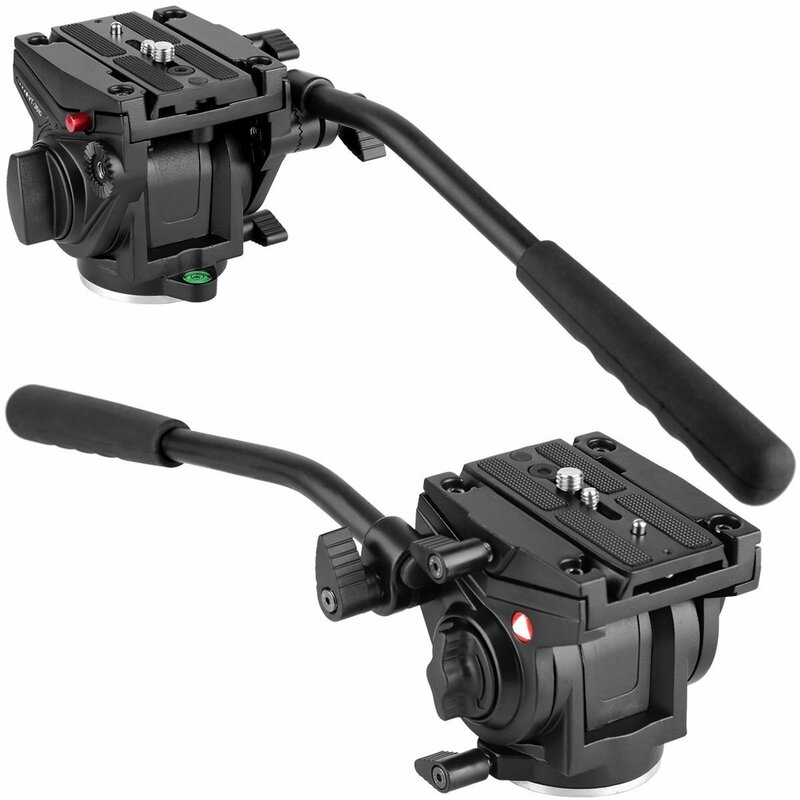 Left-right handlebar grip can be interchanged, and the grip can be adjusted by 360°. The special design of security locking knob can prevent the equipment from falling off accidentally. The bubble levels can help to keep the stable shooting to adapt to different environments. The wearable and non-skid bar design can prevent the shooting from shaking to improve the stability. 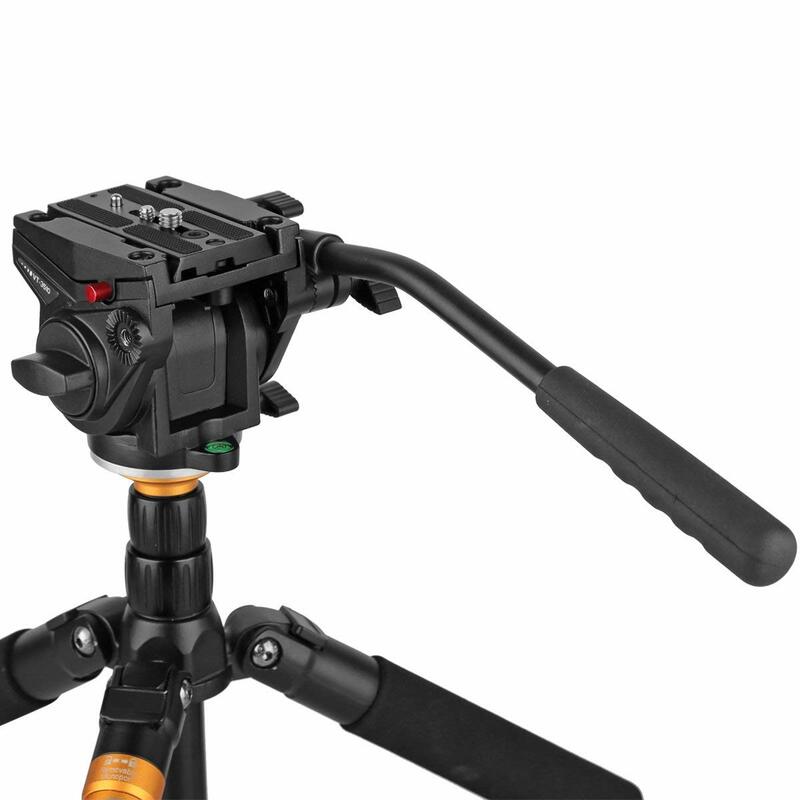 The side lock system allows the camera and sliding QR plate to click quickly into the head from above, instead of needing to be aligned and slid in from the back. 13.5 x 6.0 x 5.25"